What is there about the romance of a swing in springtime? 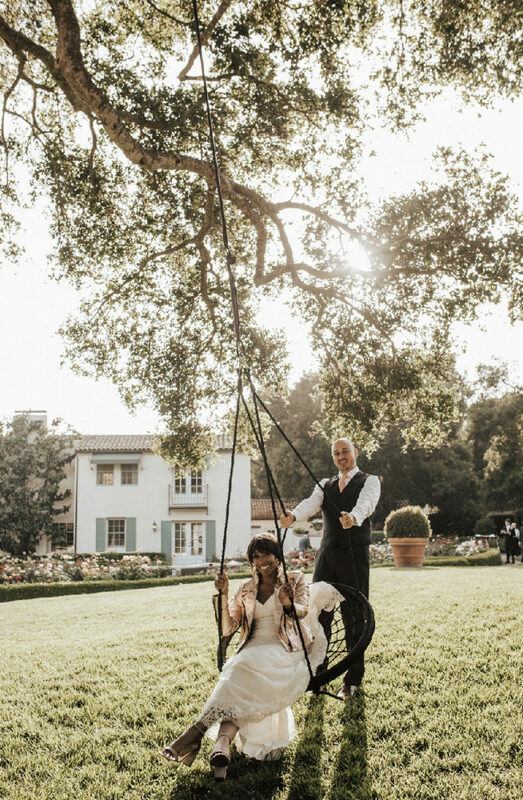 Add to it the backdrop of a perfect private estate, a destination wedding hotspot like Santa Barbara and a gorgeous bridal couple, and you’ve got the recipe for some super charming wedding day memories reminiscent of a fairy tale (with a touch of rock-n-roll: check out bride Brittany’s fabulous jacket). Just as unique as our couples, we like to design menus that complement them. And Brittany and Devin blended some our most popular Mexican menu items with a spectacular Middle-Eastern buffet, offering guests a very colorful array of food colors, tastes, and aromas. Mixing ethnic food options in a buffet can work beautifully if done properly and if you know your client and their guests. We loved putting together this wedding day menu and working with Brittany and Devin in such a gorgeous location. 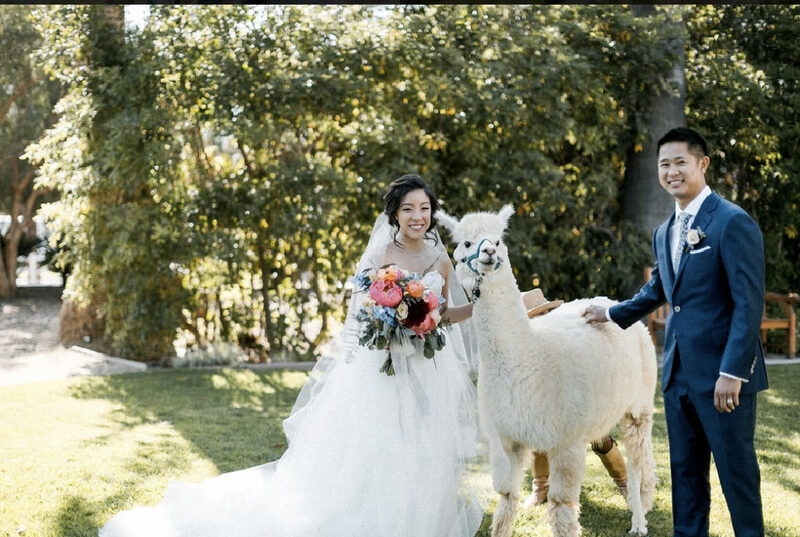 Congratulations to them on their new journey together as husband and wife!